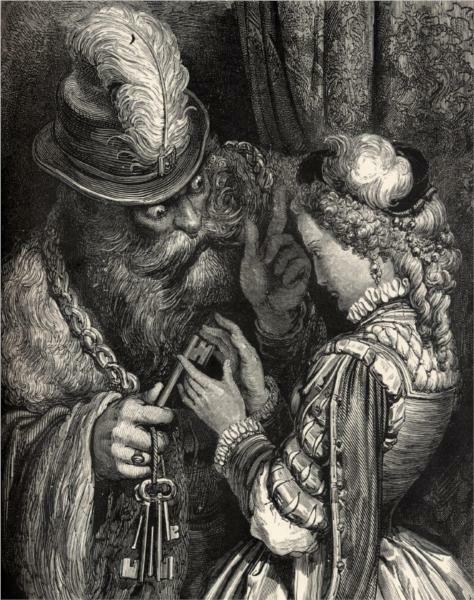 A Dealer in Wives: An Unlucky French Commoner or a Henry VIII? An account of a Frenchman who made a sport of marrying and dispatching–or was tragically unlucky. He took seven wives in 36 years. Busy man! They had the misfortune of being widows and, after marrying him, lived 5, 13 , 5 , 2, 4, 2, and (at least) 8 years respectively. Source: My Grandfather’s Pocketbook, From A.D. 1701-1796. “There never existed in the world such an admirer of widows as a poor French labouring man who, after having buried so many women who had buried their husbands, is to the astonishment of the world, in the full enjoyment of his life and health at this moment in the 66th year of his age. The name of this singular man is Leonard Coudert; he is a native and an inhabitant of the parish of St Martin de Vicq, in the province of Limousin in France. On the 19th of January 1745 he married Leonarda Dumont, widow of John Mouret; she died on the 3rd of February 1750. He took to his second wife on the 3rd of April of the same year, Mary Bayle, widow of Blaize Pauliat. She died on the second of February 1763. On the 14th of June following, he married his third wife, Jane Noaillet, widow of Malesond, and she died the 12th of May 1768. On the 6th of February 1769, he took for his fourth wife Catharine Valade, widow of Pradeau; she lived with him till the 25th of October 1771 when she died. He entered for the fifth time into the holy state of wedlock on the 1st of July 1773 with Anne Barget, widow of Lajoie. She died on the 11th of January 1777; and on the 27th of May following he married his sixth wife Frances Belarbre, widow of Albin, and buried her on the 16th of July 1779. But he did not remain long a widower, for on the 3rd of July 1781, being then 58 years of age, he took to his seventh wife Frances Lapeyre, widow of Leonard Faure. 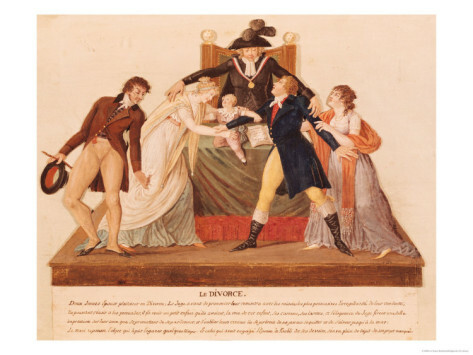 On September 20, 1792, the Legislative Assembly of the French Republic legalized divorce. This was a first in the country’s history. Under the Ancien Regime, the unshackling of partners was unthinkable–a move that would potentially crumble the foundation on which the First and Second Estates derived their power. Gross adultery on the wife’s behalf and instances of extreme spousal abuse counted as rare exceptions for separation when annulment no longer remained a possibility. In essence, marriages were immediately consummated for a reason and unless the petitioner produced testimony that might invalidate the original grounds for marriage, the couple was married until death do they part. In cases where the law permited separation of any sort, two basic resolutions were recognized: séparation de corps et d’habitation, essentially of person/body and domicile, and less seldom, séparation de biens, or of financial accounts. Consequently, an attitude of keeping families in their conjoined states prevailed. As an additional argument against divorce, all children birthed during the marriage were rendered illegitimate upon the conclusion of formal legal proceedings. Given the need for heirs, one can easily see how this could prove problematic. Although the Enlightenment initially sparked the divorce debate, it was the French Revolution that succeeeded in secularizing family life. Public institutions sought to invade the very private sentiments of individuals and turn them outward in service of the state. In the first gasping breaths of the nineteenth century, a backlash developed against this transparency of state and individual, but for 24 years, marriage was viewed as a covenant which could be broken as all secular affairs could be torn down and if desired, rebuilt. This resulted in 30,000 divorces between 1792 and 1803, the years when the divorce laws remained the most liberal. In the centuries following the years wherein the divorce law of 1792 was active, married women and men were refused comparable rights to divorce until as late as 1975. 1884 saw the return of divorce in France, however limited. Note the oldest reason for marital dissolution–adultery–is nowhere to be found. Marriage and Domestic Violence in Eighteenth-Century French Literature and Society: (This is actually a syllabus from Illinois State University, but it has a useful bibliography attached if you scroll 1/3rd of the way down). A selection of writings from Husbands, Wives, and Lovers: Marriage and Its Discontents in Nineteenth-Century France: Disregard the nineteenth century bit; it talks mostly about the French Revolution. 1 Aries, Philippe, and Georges Duby. 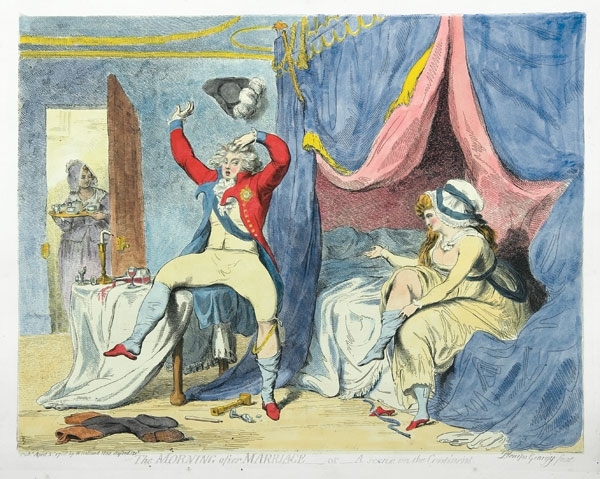 “The Unstable Boundaries of the French Revolution.” A History of Private Life. Cambridge, MA: Belknap of Harvard UP, 1990. Print.